Editor’s note: this post was originally published in 2011 and updated annually to reflect the newest volunteer opportunities available. Spring is here. It’s time to put those winter sweaters back into storage and dust off your flip flops. As the seasons change, so do the volunteer opportunities; there are gardens to be planted, parks to be prepped for the onslaught of visitors, and other outdoor projects that are most enjoyable in the cool sunshine of Spring. Below are some ideas for outdoor volunteer projects and activities around New York City that you can sign up for right now. The ‘It’s My Park’ Series is an ongoing event taking place this spring from March to May You don’t even have to register: just find a participating park and go! 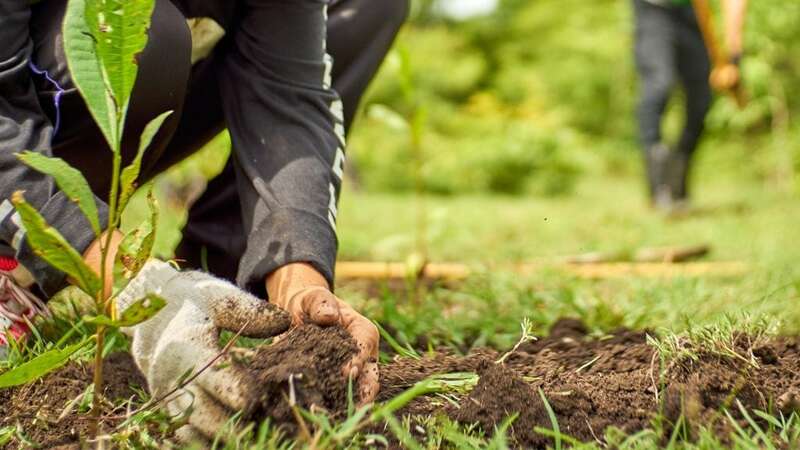 Million Trees Planting Event: The city’s Million Trees Initiative has an ambitious goal: to plant and care for one million new trees across the City’s five boroughs over the next decade. Throughout the spring, you can help them reach that goal by joining them in parks in Brooklyn, Queens and Staten Island and volunteer to help plant trees in your community. AIDS Walk New York: May 19th. Sign up on the website or contact Volunteer Coordinator Shaun Sheppard with any questions at shauns@aidswalk.net or (212) 807-WALK (9255). NYCRUNS: On April 20th, benefit Camba by running a 5K or 10K in Prospect Park. New York Cares Day Spring: Join New York Cares and 5,000 other volunteers to work on an environmental project to make our city’s parks and gardens cleaner, greener, and ready for summer. ioby (which stands for ‘in our backyards’) connects donors and volunteers to environmental projects in their neighborhoods to inspire earth awareness and action in New York City. Check out their sponsored projects, which are always in need of volunteers to plant veggies, build gardens and educate the public; visit their website for more information. Botanical Gardens: The New York Botanical Garden, Brooklyn Botanic Garden, Queens Botanical Garden, and the Snug Harbor Botanical Garden in Staten Island all offer a variety of opportunities, from greeting visitors to garden maintenance. It may require an application and even interview depending on which position you’re looking to fill, but it’s worth the effort to gain access to these beautiful gardens in any borough. Slow Food NYC is the New York City chapter of Slow Food, a non-profit, member-supported organization founded in 1989 to counteract fast food and fast life. From time to time, they need volunteers to staff events or to help with outreach programs. Contact them at info@slowfoodnyc.org or check the calendar for upcoming workshops and events like the Just Food Conference. Do you have other local organizations you love? Comment below! For more environmentally-helpful volunteer projects, visit giveandgetnyc.org. Rachel is former experiential marketer and current professional fundraiser and event planner for mission-driven organizations. 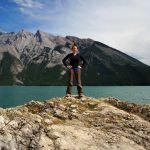 She recently became the Manhattan Ambassador for Hike It Baby, a non-profit dedicated to building communities that support getting families outside and raising a generation to love the outdoors. Rachel finds joy in nature and hard-to-reach scenic vistas, and has reveled in exploring places as close as Harriman State Park and as far away as Denmark and Austria by train, bus and her own two feet. When she's not at work, you might find her dropping off compost at the local greenmarket, hiking in the Hudson Valley or picnicking in Riverside Park. She shares her life and home in New York City with her husband, son and extremely judgmental cat.